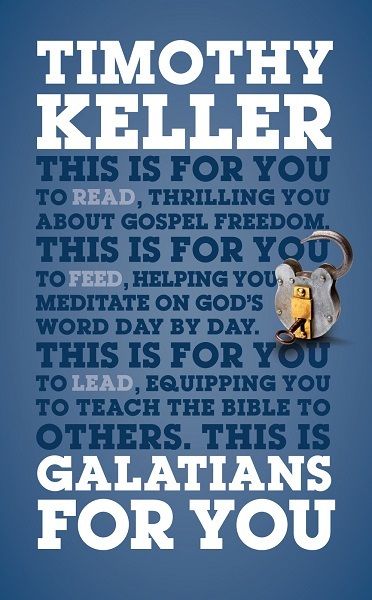 First in a new series of expository guides to the Bible, Timothy Keller's Galatians For You is a personal or group curriculum that walks you through the book of Galatians, showing how the gospel message changes the whole of our lives. Galatians for You is a uniquely flexible resource. It can be read for personal study or edification; used as a daily devotional, complete with reflection questions; or utilized by anyone who has a teaching ministry, to help small-group leaders understand and apply the text, and to give preachers helpful ways of connecting timeless Bible truths to today's world. Galatians for You is designed to work alongside Gospel Matters, Timothy Keller's Bible-study resource for small groups and individuals.